Warner Bros. and Fathom Events are Bringing Back THE IRON GIANT to Screens! Burbank, CA, July 8, 2015 – Warner Bros. Pictures is proud to announce that the animated action adventure “The Iron Giant” will be re-released this fall, remastered and enhanced with two all-new scenes as “The Iron Giant: Signature Edition.” It will be released in theaters for a limited engagement through Fathom Events. “The Iron Giant: Signature Edition” arrives to theaters for a special event screening on Wednesday, September 30 at 7:00PM local time, with an encore event in select markets on Sunday, October 4 at 12:00PM local time. The ticket on-sale date and theater locations for “The Iron Giant: Signature Edition” will be announced this August online at www.FathomEvents.com. The event will be presented in select movie theaters around the country through Fathom’s Digital Broadcast Network. When “The Iron Giant” arrived in theaters, it was hailed as an “instant classic” (Joe Morgenstern, The Wall Street Journal). “Imagine E.T. as a towering metal man, that’s the appeal of this enchanting animated feature” (Roger Ebert, Chicago Sun-Times). And the world soon learned another “giant” had arrived as well: filmmaker Brad Bird, who made his stunning directorial debut with this film and has gone on to win two Oscars, as well as worldwide acclaim for his work on both animated and live-action features. Winner of nine Annie Awards, “The Iron Giant” is the tale of an unlikely friendship between a rebellious boy named Hogarth (voiced by Eli Marienthal) and a giant robot, voiced by a then little-known actor named Vin Diesel. The voice cast also included Jennifer Aniston and Harry Connick Jr. The film was produced by Allison Abbate and Des McAnuff from a screenplay written by Tim McCanlies. 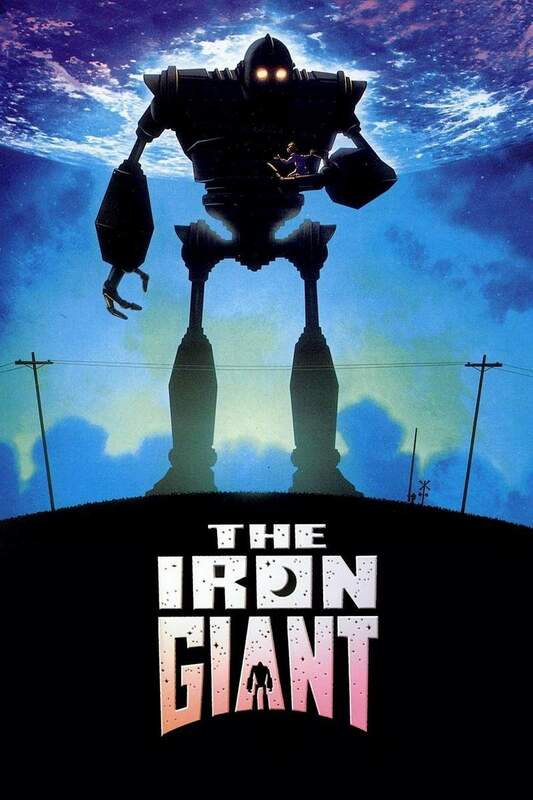 Adapted from poet Ted Hughes’ book, The Iron Man, “The Iron Giant” was first released in the summer of 1999 by Warner Bros. Following the re-release of the film in theaters, a high-definition version of “The Iron Giant: Signature Edition” will be available to purchase from digital retailers in the fall of 2015.